Does the cold or flu have you not feeling your best? Skip over the counter medicines and with these 15 Natural Cold and Flu Remedies! Whether you like cold weather or not, it is safe to say that no one loves cold and flu season. I’m a big fan of looking for natural alternatives to fight off colds and flu. 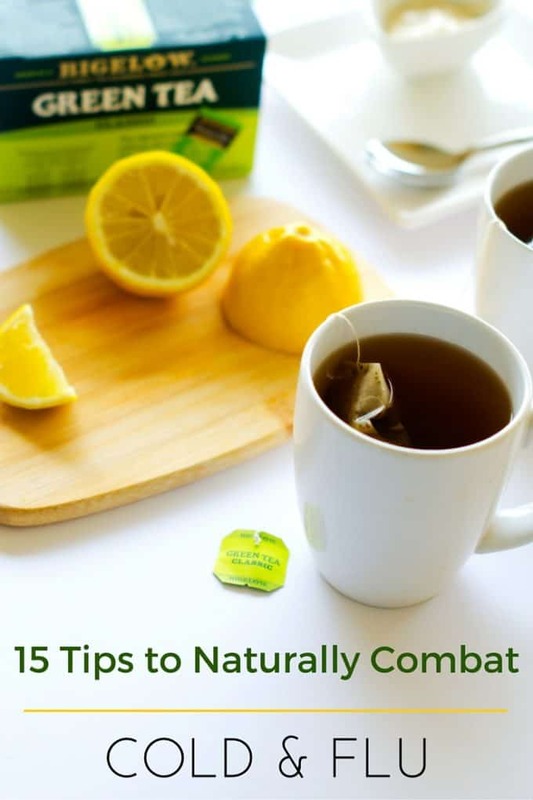 Here are my top 15 tips to combat the cold and flu naturally! 1. 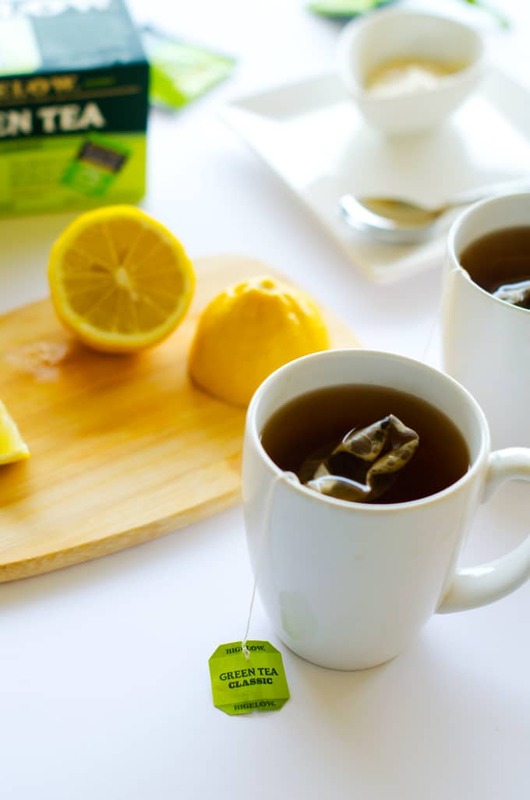 Sip Tea – Drink hot black or green tea with lemon and honey. When you sip hot tea, you end up breathing it the steam. The steam from the tea stimulates the hair follicles in the nose and helps move germs out more efficiently. Honey is antibacterial and lemon works to thin mucus. If you are experiencing nausea or indigestion, try adding a little ginger to your tea. 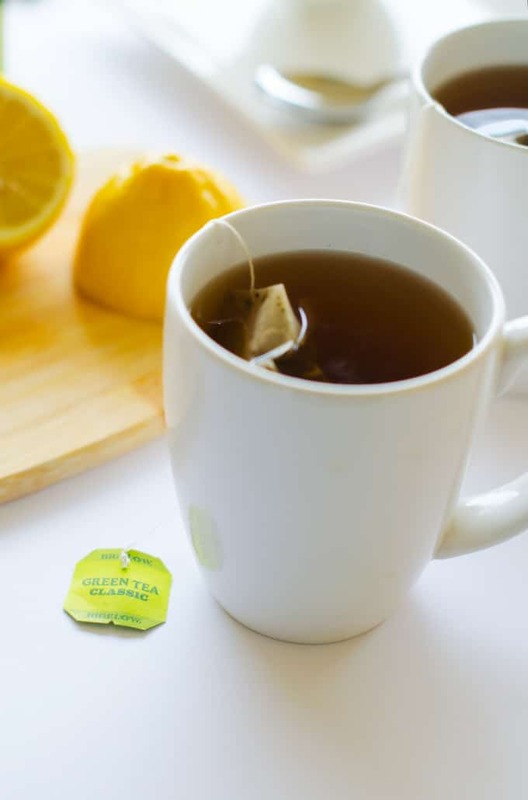 Since the dryer air can make it more challenging to stay hydrated and getting enough fluids is critical to a well-functioning immune system, drinking tea can also play a role in supporting your immune function. I’m a big fan of Bigelow Tea. During cold and flu season, I especially enjoy their Green Tea, I Love Lemon, Lemon Lift, and Lemon Ginger teas, which I pick up at Walmart. 2. 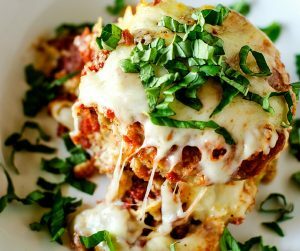 Spice it Up – I love to use garlic, onions and lots of spices in my recipes, and as it turns out this does more than helps them taste good. Garlic and onions offer antimicrobial properties and spices can help boost the immune system. 3. Find Your Zen – There is another reason to take the time to decompress with a cup of tea. Reducing stress is critical to support immune function. Stress causes our bodies to increase production of neuroendocrine hormones, which can have a detrimental impact on your immune function. That can make you more susceptible to cold and flu. In addition to taking time out to unwind with a cup of Bigelow tea, consider yoga, meditation and moderate exercise. 4. Eat the Rainbow – Make sure your diet is packed with fruits and vegetables in colors of the rainbow. This will ensure that you get enough vitamins and phytonutrients to support your immune system. Try to get at least 4 1/2 cups of fruits and vegetables daily. A rule of thumb is that the darker the color, the higher the antioxidant value. 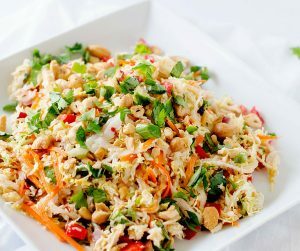 Pay particular attention to making sure you get foods rich in beta-carotene, which can be converted into vitamin A. “Vitamin A is crucial for the immune system,” according to Joan Salge Black, RD, and spokesperson for the Academy of Nutrition and Dietetics. It acts as a barrier against bacteria, increases white blood cell counts, and helps the body defend against free radical cellular damage that can harm the immune system. Beta-carotene rich foods include carrots, sweet potatoes, pumpkins, cantaloupe and other fruits and vegetables with dark orange or red colors. Other important nutrients include vitamin C and selenium. 5. Say No to Sugar – This includes white flour and refine grains because they are turned into sugar quickly in our bodies. Research shows that your immune system is suppressed for hours after the ingestion of refined sugars. 7. Stay Clean – You probably already know this, but it is so important that it is worth repeating. Communal objects play a key role is spreading illness. Washing your hands often with soap and water will go a long way to stopping the transmission cycle. Wipe shared surfaces (like your fridge door and remote control) with a disinfectant spray no less than once a day. 8. Turn On Your Humidifier – Viruses thrive in cold, dry environments, which is one reason that the flu spreads more in the winter. When you increase the moisture in your home, you reduce the flu’s ability to infect you. 9. Take a Bath – Try taking an aromatherapy bath several times a week. Try a blend of eucalyptus, frankincense, sweet orange and tea tree oil. Breath in the vapors for at least 20 minutes, adding hot water as needed. Warm, moist air can help hydrate your nose and throat and help mucus drain more freely. Bonus points for unwinding with a cup of Bigelow tea while you are soaking. 10. Take Zinc – If you want to beat a cold quickly, research shows that sucking on zinc in the first 24-hour period after symptoms appear can shorten the duration and reduce the severity of a runny nose and sore throat. Experts believe that this is because it interferes with the virus’s ability to attach to the lining of the through or nasal passages. (Source: Ananda Prasad, MD, professor, Wayne State University School of Medicine, Detroit) One thing to keep in mind is that it is critical to act fast. In fact, University of Arizona scientist found that when someone in your office is sick, it takes only four hours for surfaces (like copy machine buttons and fridge doors) to show traces of the infectious virus. 11. Get Active – Early findings from the London School of Hygiene and Tropical Medicine found that 2 1/2 hours of vigorous exercise a week can lower your flu risk by 10%. Another study examined 547 adults for a year and found that those that engaged in regular moderate-to-vigorous physical activity had a 23% reduction in risk of upper respiratory infections. It is important to note that although moderate exercise can help to maintain a healthy immune system, prolonged exertion for 90 minutes or longer can weaken your immune function. 12. Gargle – While adding salt to the water hasn’t shown to be effective, research in Japan found that people who gargle with water three or more times a day caught fewer colds. If they did come down with something, the symptoms were milder than in those who didn’t gargle. If you want to add salt, go ahead! It doesn’t hurt. 13. Get Probiotics – Probiotics are beneficial bacteria that are critical to helping the body manage illness. They regulate potentially harmful bacteria in the digestive tract. A review in the British Journal of Nutrition found that those who took probiotic supplements or had probiotic yogurt drinks containing lactobacillus and bifidobacterium got over their colds faster. Plus, your digestion will thank you. I can’t tell you what a difference I feel when I am getting probiotics in my diet and when I’m not. Taking a supplement is a great place to start, but also consider foods like kombucha, yogurt, miso, kimchi and kefir. 14. Laugh – According to research from Loma Linda University, laughing increases the activity of antibodies that destroy bacteria and viruses. 15. Sleep Tight – Research shows that people who sleep seven hours or less a night were almost three times more likely to develop a cold as those who got eight or more hours. What are your favorite natural cold and flu remedies?